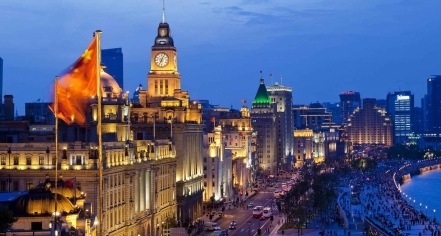 The Fairmont Peace Hotel is in the heart of Shanghai, one of the most-populous cities in the world. As a city center icon, the Peace Hotel is in close proximity to some of the popular attractions in the area. Disneyland Park offers six different family-friendly theme parks inside, while Nanjing Road provides hours of world-class shopping. Guests seeking a more authentic, historic experience can explore Old Shanghai City and visit the Shanghai Museum. Tours, such as the Shanghai Classic Tour, are also available. Experience the magic of China’s first Disney theme park, which blends the magic of Disney with the cultural heritage of China for a unique experience. Great for kids of all ages, this family-friendly theme park features a range of rides and activities that will make for a full day of fun. Explore the winding alleys of the traditional urban core of Shanghai to experience an ancient piece of China. Originally protected and defined by a wall built in 1554 by the Ming Dynasty to protect against foreign pirates, this old district is full of historic buildings and has a wonderful atmosphere. 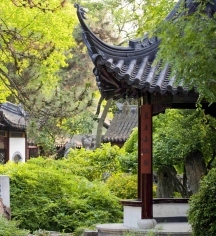 Stroll through the extensive Yuyuan Garden, a 16th century garden that features 30 pavilions over five acres. First built in 1559 by the governor of Sichuan, the Yuyuan Garden is the largest of its kind in Shanghai and features the Exquisite Jade Rock, a unique-looking boulder originally intended for the Imperial Palace. Take this 8-hour tour for a stop at some of Shanghai’s most popular and iconic landmarks. Covering a wide variety of both the historic and modern locations in the city, the Shanghai Classic Tour is conducted in English and includes transport to and from the hotel. Dive into the culture of ancient China at what is considered to be the country’s first world-class museum, the Shanghai Museum. Featuring over 120,000 rare cultural relics, this museum covers a wide range of items including sculpture, ceramics, and calligraphy, and will fascinate anyone who visits. Go shopping at one of the busiest shopping sites in the world and the most famous shopping street in China, Nanjing Road. With over 600 shops, guests will be delighted to find that it’s just a 10-minute walk from the hotel.